When it comes to buttonholes, I’m a plain jane. I keep it simple with basic techniques and basic feet, and for the most part they turn out great. Of course my holes aren’t always perfect, I’ve botched them from time to time, and I’ve even cut through the end of one. But, they’re good enough for my needs and I just can’t help myself from using them, since a button adds the perfect flair to an outfit. So I keep truckin’ along. If you want to truck with me, here are the simple ins and outs of buttons and buttonholes, using a standard buttonhole foot. 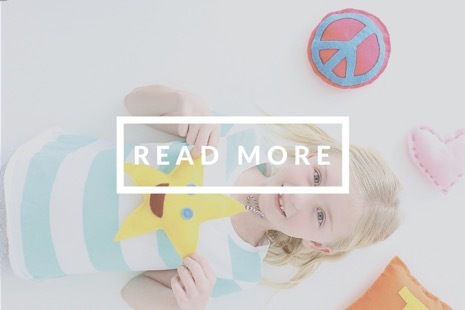 Buttons come in all shapes, sizes, and styles imaginable. 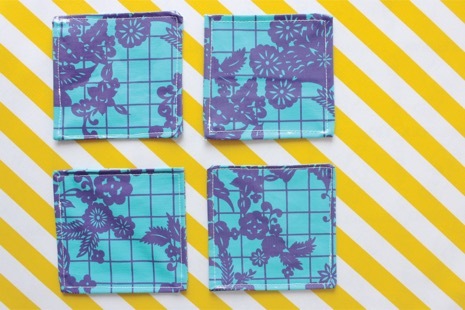 You can buy them at every sewing shop, online, and if you’re lucky….you might find a cool vintage tin filled with buttons at a garage sale (though it’s never happened to me, yet). 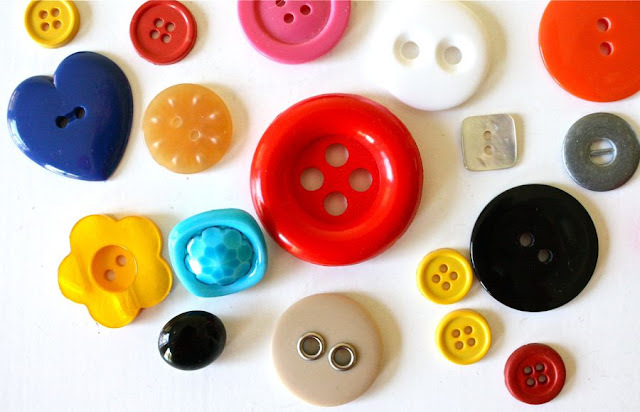 Buttons are fasteners. 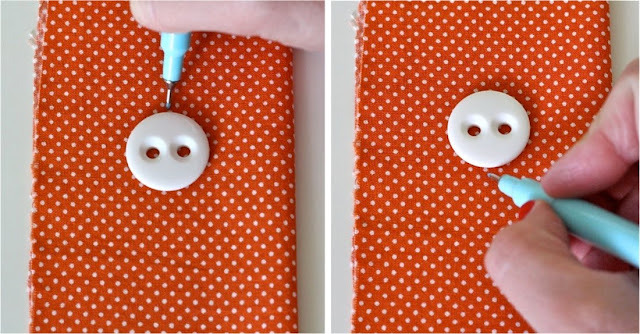 But they’re only as good as the other side they attach too, which means a button is paired with a buttonhole or a loop. 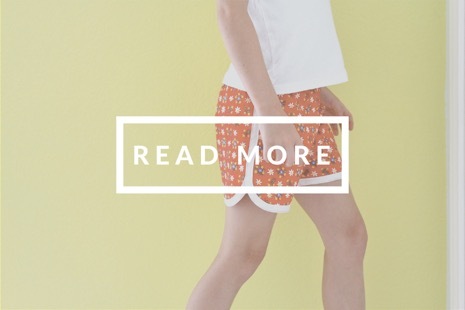 Buttons are extremely cute, extremely useful, and they’re placed on all types of clothing. 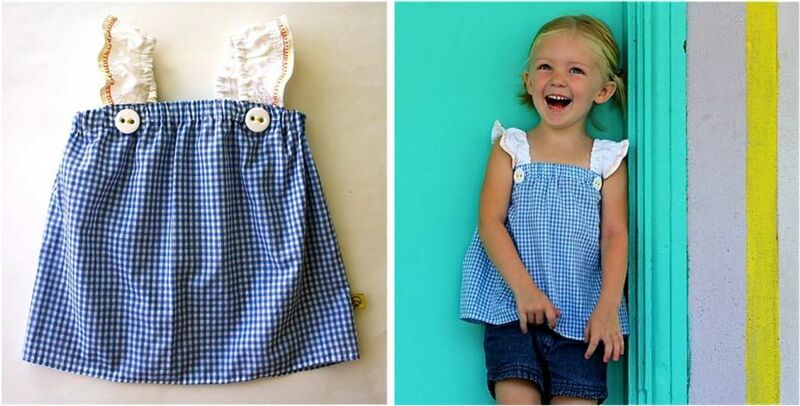 Some buttons help to close and open pockets (market skirt). Some hold straps together on a dress or overalls (aqua velvet dress). 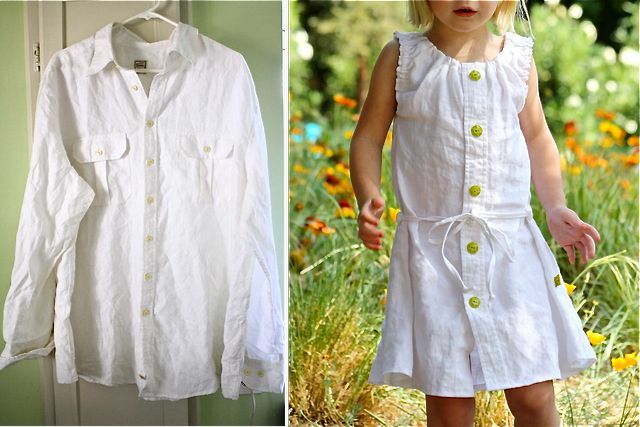 Buttons can give a face lift to a refashioned outfit by replacing the old ones (white linen dress). Sometimes buttons are simply sewn-on, as a design element, which means you don’t even have to create buttonholes! (ruffled sleeve top). And some buttons don’t use a buttonhole but rather loops to fasten the fabrics together (doll frock – sorry for those of you looking for the Sugar City pattern on this one. They don’t sell it anymore and I’ve had numerous people ask me about it. I wish I had better info for you! I guess keep emailing them asking if they’ll print again?). 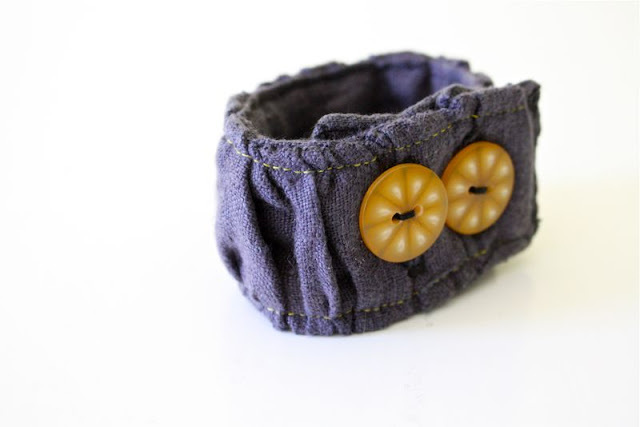 Whatever your purpose and style, find a button that fits your project. A button can really add the small bit of “umph” you’re looking for. 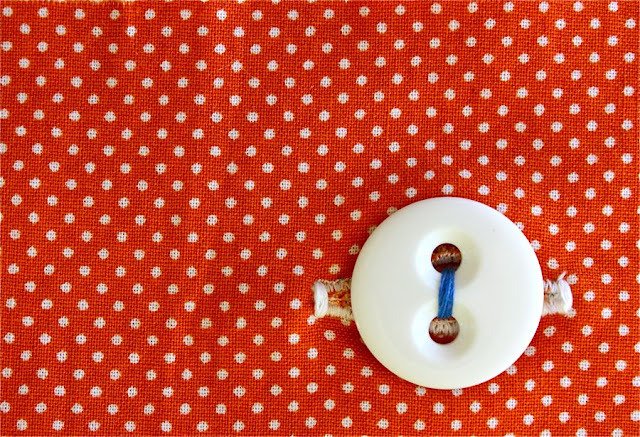 Sometimes a button alone spawns the idea for a project (like finding an outfit to go with your favorite pair of shoes). 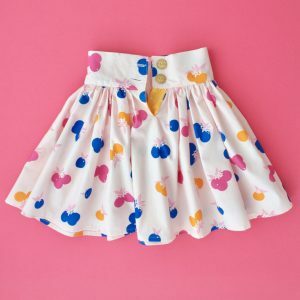 And sometimes you scour the fabric shop looking for the perfect “cute as a button” topping for your project. 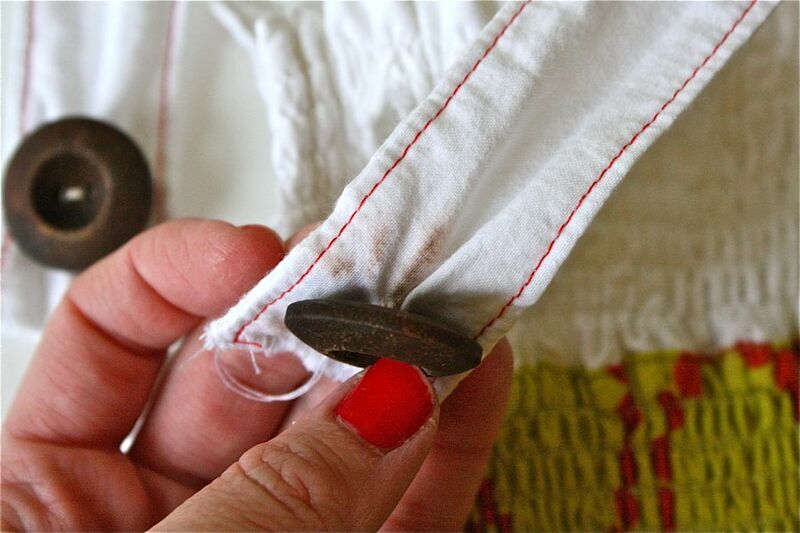 Be careful when selecting buttons and fabrics to consider washing and care. 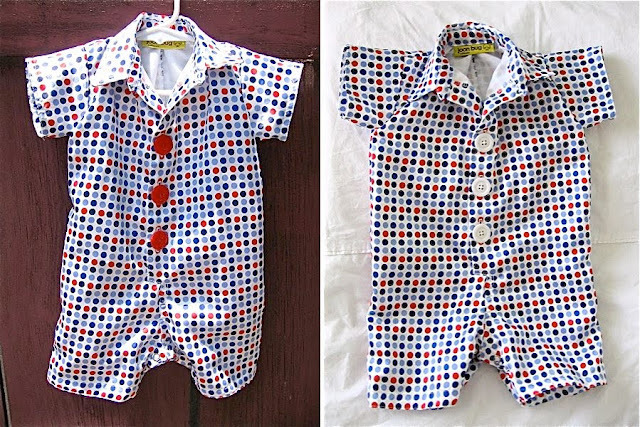 I made the dots Summer Dress below with a white fabric top and chunky wooden buttons. What I didn’t consider, however, was that the wooden buttons might bleed onto the fabric. Overtime I’ve noticed this happening. Bits of the wood finish rubbed off on the fabric when I washed it. It’s not too noticeable since it’s hidden behind the button. And for the most part buttons are made from plastic, glass, and finished off wood which don’t tend to bleed. But just something to be aware of. 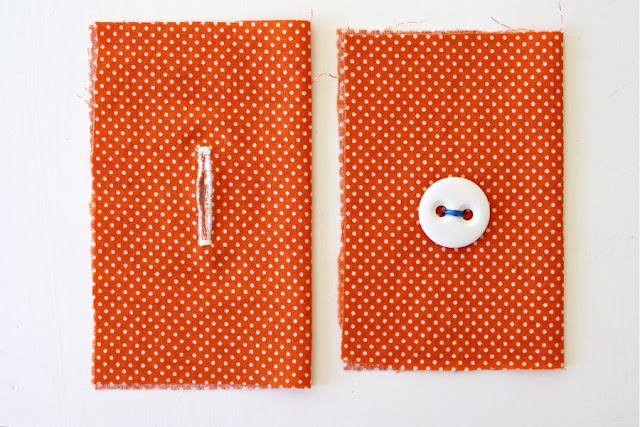 Okay, grab a button and fabric and let’s create a buttonhole! Making buttonholes is not hard. If you feel intimidated by it, put those fears behind you! 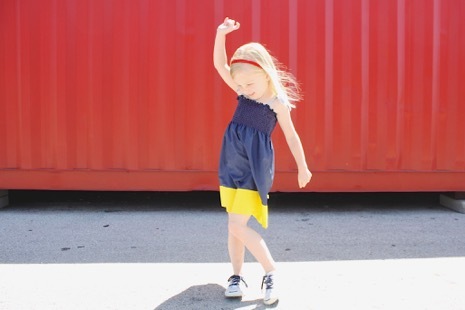 We’ll walk through some easy steps; nothing fancy here. 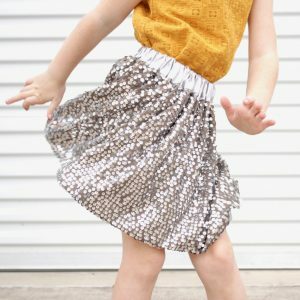 In fact, the best thing to remember with sewing is that people have been doing this for thousands of years (and without machines or on machines that were far less advanced than ours). So you can do it! Our machines have advanced over the years and thus, we have a variety of presser feet for our machines. 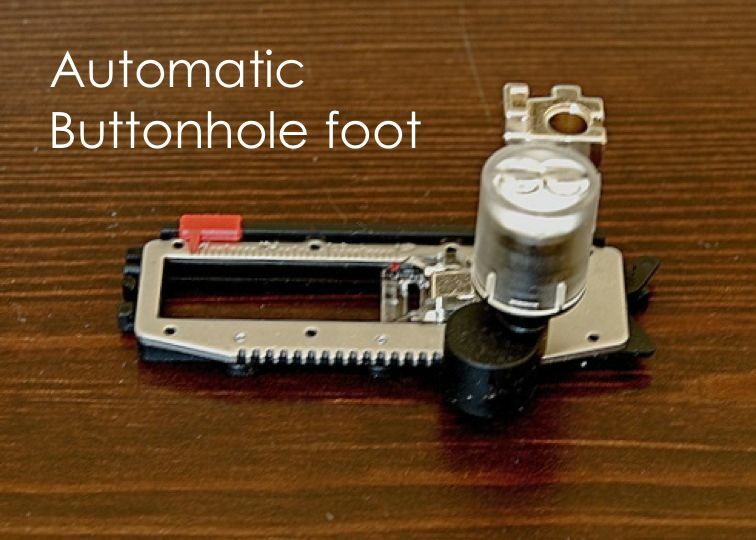 Depending on the type of machine you have, it may come with a standard buttonhole foot or an automatic buttonhole foot. I have a manual sewing machine, meaning it is not computerized or digital. It’s just a good quality machine (Bernina 1008), with about 20 stitches (I only use 2 of them), a buttonhole setting knob, and a standard buttonhole foot. We’ll talk about the settings in a moment. First, let’s check out the feet. On the left below is my standard foot (also called an All-purpose or Zigzag foot). This is the foot that’s on my machine most of the time. 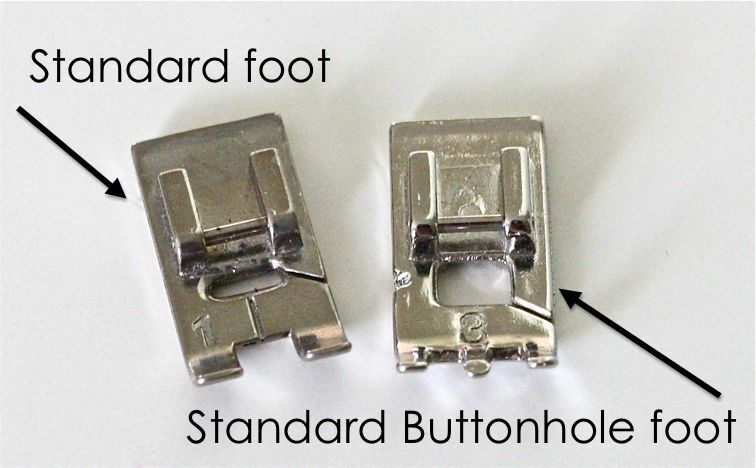 To the right is a Standard buttonhole foot. The two feet are similar but the buttonhole foot has a larger opening, which makes it easier to look ahead on your stitching to tell when you’re coming to the end of your buttonhole. 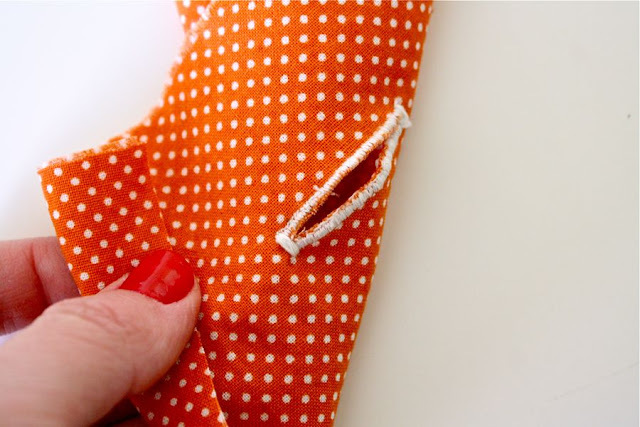 Of course you can sew normal stitching with the buttonhole foot but the smaller opening on the standard foot places more surface area on the fabric you’re sewing, giving you more control. So when you’re done sewing a buttonhole, always switch back to your standard foot. If you have a fancier machine with digital settings (and even some machines without), you might have an automatic buttonhole option. The foot (image below) is much longer, with settings and gauges to help make more precise buttonholes. I’ve never used one since my machine is manual but there’s a fabulous tutorial here on Dog Named Banjo. 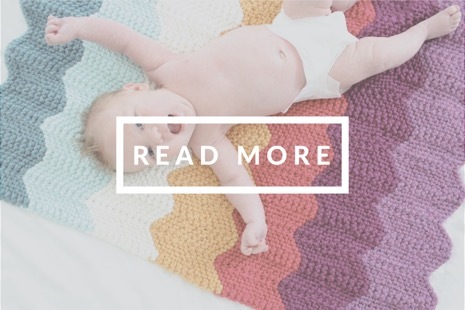 Check it out for detailed info and lovely pictures. 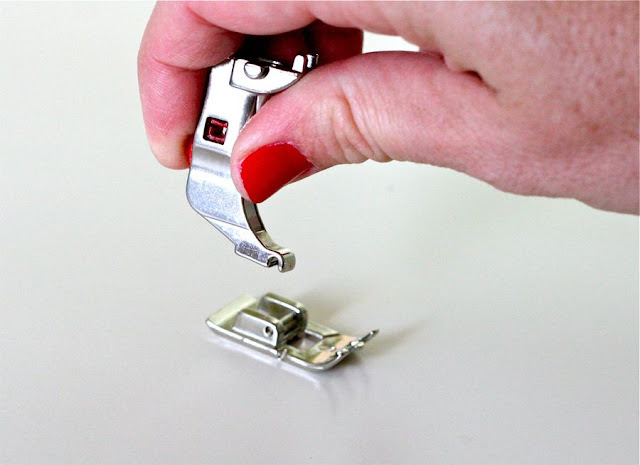 So, clip your buttonhole foot to the presser foot leg and attach it to your machine. 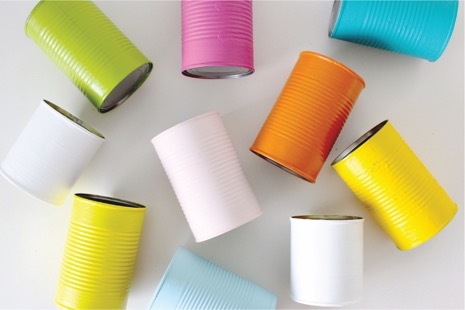 Use normal thread of the same color on the top of the machine and in the bobbin. And you’re ready to go! 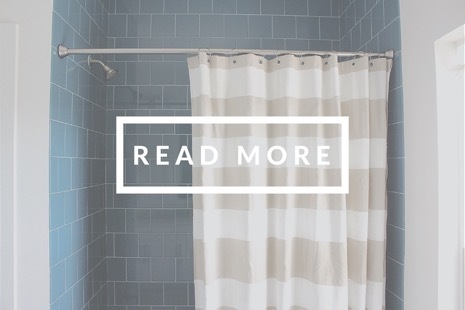 Okay, start by spacing your buttons out on your project. If you have a shirt with 4 buttons down the front, lay them out on the shirt and measure to get them evenly spaced. Of course your own eye is the best gauge, so if a button looks “off,” move it up or down regardless of what the ruler says. Then mark where each buttonhole will be. Then draw a faint line between the two dots so you have a clearly marked path for your buttonhole. 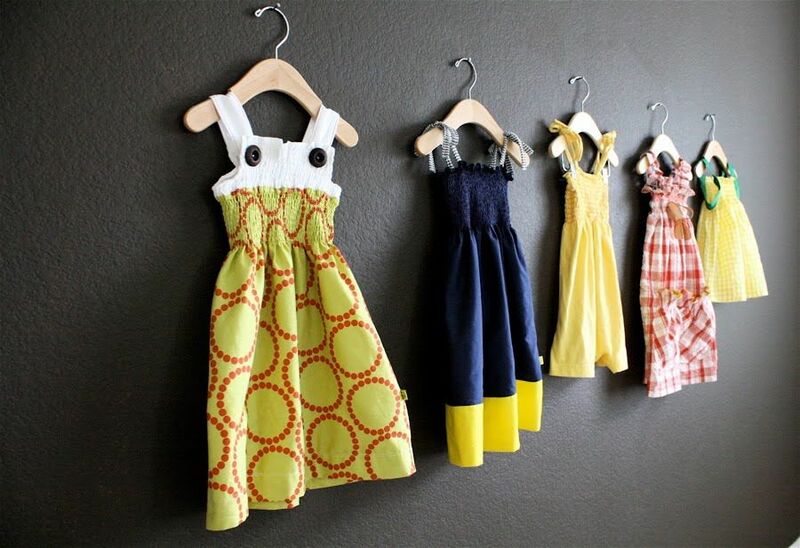 Every sewing machine is different but the concepts are similar. I’ll show you how it works on my machine. But it’s best to read through your manual (or look at an online machine manual for your brand) so you know exactly how your particular machine works. 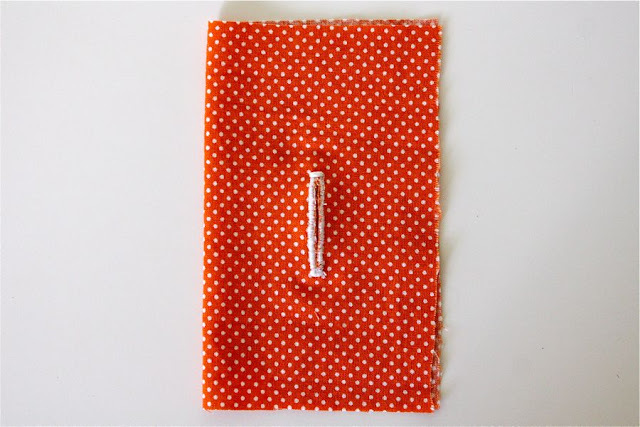 When ready to sew a buttonhole, first change the stitch length (below). Normally I sew on a 2 or 3 length. So I turn my stitch nob all the way up to zero (which means the stitch will not move forward; it will just keep stitching on top of itself), and then I back it down a bit. If there was a decimal system for stitch length, it would be about a 0.25 length. It’s important to have a short stitch length so the zigzag stitches are very tight, creating finished edges on the buttonhole. Next, flip your machine into the buttonhole function. 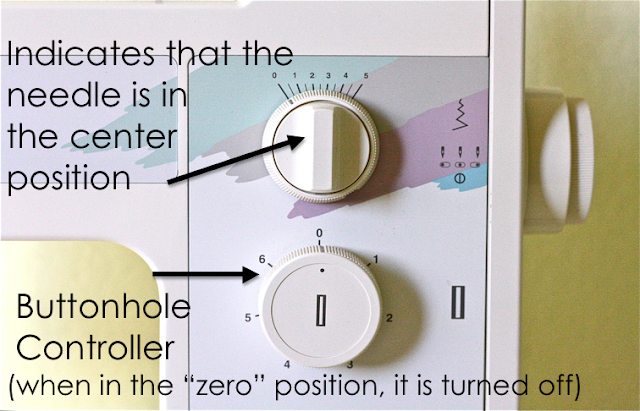 My buttonhole system is a knob or dial (see image below) that goes through a series of 6 steps. Each time I turn to a different step, the machine adjusts the needle position, stitch style, and direction for me. So in some ways it’s “automatic”. But I still need to manually flip through the steps. When I’m ready to go, I turn the Buttonhole Controller to the “1” position and the machine adjusts the needle position for me and switches to a zigzag stitch. Pretty basic. You don’t need a buttonhole controller to do this, just put your machine in a zigzag stitch and follow along with us! 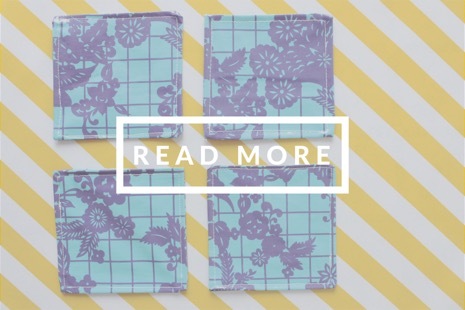 Referring to the 4 images below, place your presser foot directly over the starting point you marked on the fabric. To make sure it’s in the correct place, turn your needle by hand to see where it lands. Looks good! 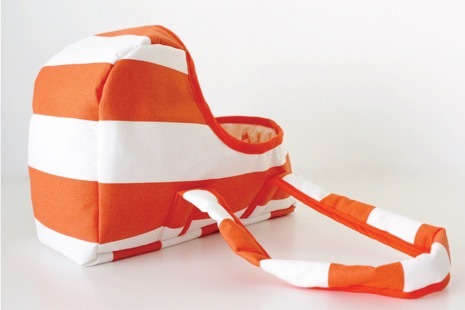 Okay…start sewing all the way down to the end of your line markings. 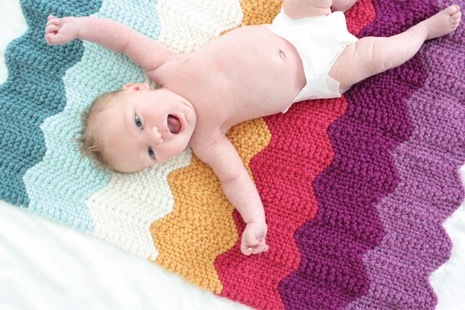 As you can see, you’re creating a very tight zigzag stitch behind you. 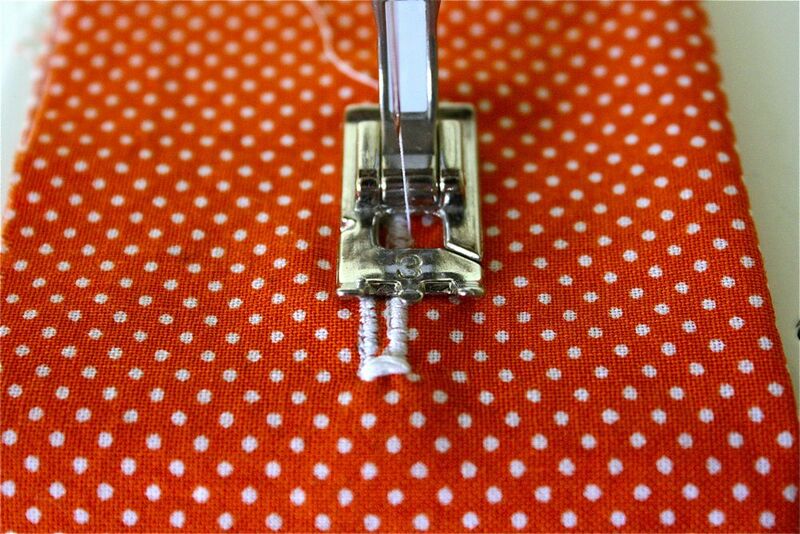 When you’ve reached the end, make sure your needle it is in the up position (since the machine may move the horizontal needle position for you) and switch to “Step 2” on the button hole dial. 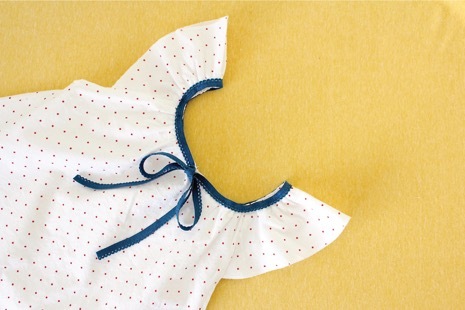 As you start sewing, it sews a simple straight stitch going backward. The machine is “marking a path” so it will be easy for you to come back down on the other side. Keep sewing backward till you get to the top of your markings. And switch to Step 3 on the dail. This step finishes off the end of the buttonhole, by stitching back and forth on top of itself. Do this stitch a few times but don’t over do or it will be hard for your presser foot to slide past it on the way back down. Switch to Step 4. This is similar to Step 1. 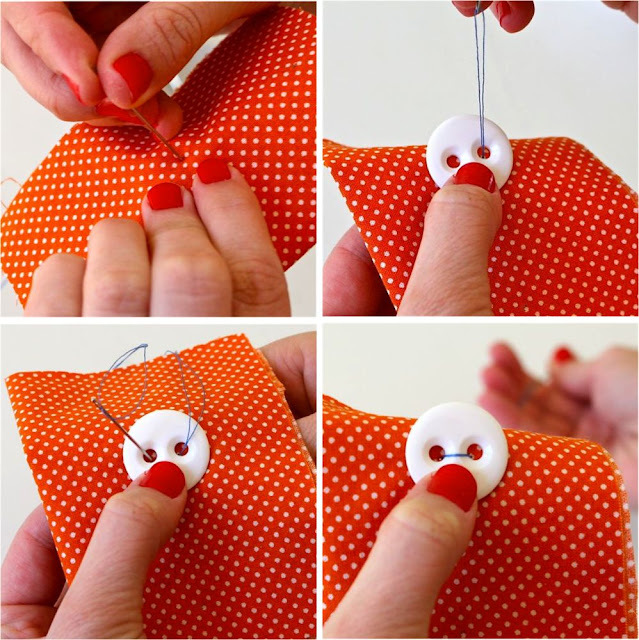 It sews a tight zigzag stitch down the other side of your button hole. Switch to Step 5 which finishes off the bottom of the buttonhole. 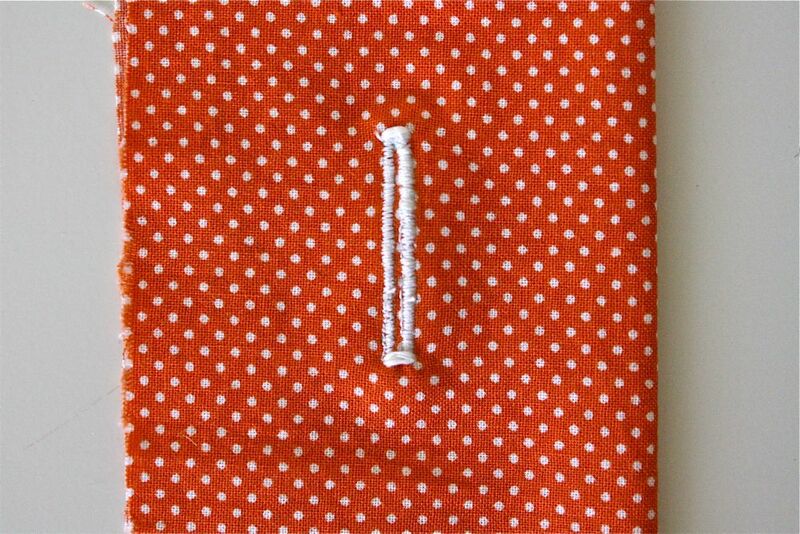 And finally, Step 6 sews a standard straight line backward on top of the buttonhole to finish off the stitch, so it doesn’t unravel. 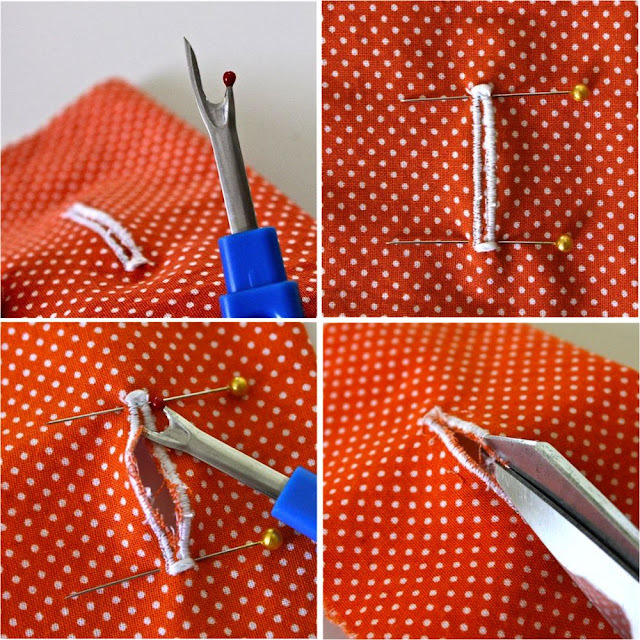 Using a seam ripper, carefully puncture the inside of the hole and use it to rip from end to end. If you’re worried about ripping off the end of the hole (done it), place a straight pin at each end. 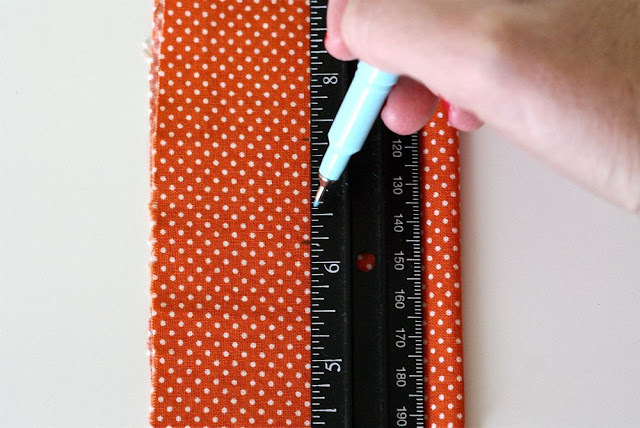 They will stop your seam ripper when you hit the end. Finally, use scissors to trim the edges of the hole. 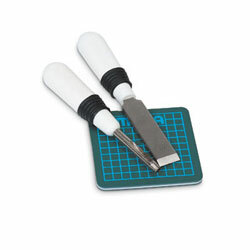 You can also use a buttonhole cutter tool, which works as a flat but sharp chisel to press through the buttonhole and cut it open. I find the seam ripper method easiest to do. 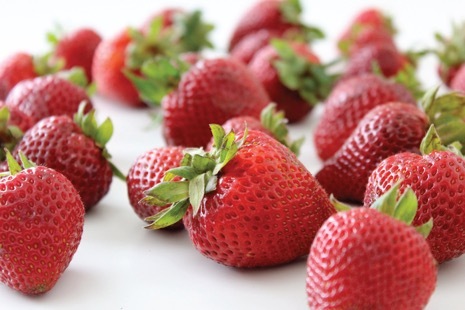 And….look at that. You have a buttonhole! Check to see that your button passes though. Good good! The hole should look the same on the top and the bottom. * What if your button does NOT fit through the hole? 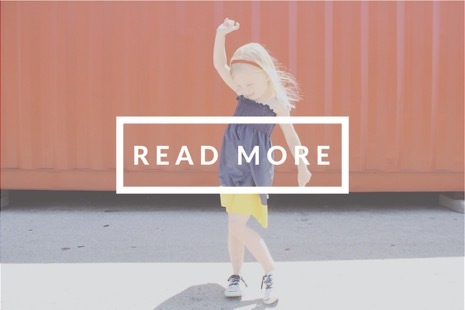 What if you made it too small? Well, you can try to jam it in there and stretch it out a bit. It might fit better after passing through a few times. 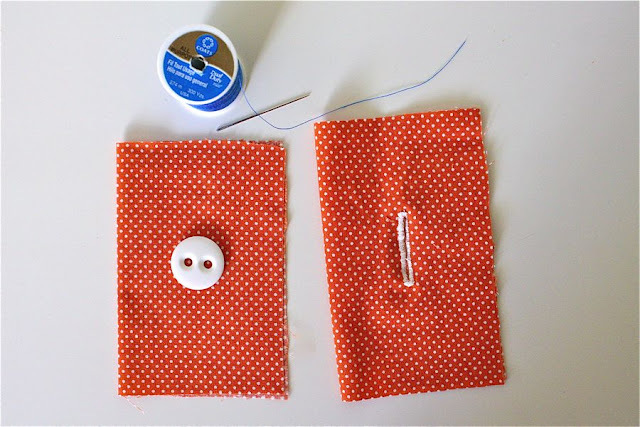 OR, go back and use the machine settings to extend the hole.Use the appropriate steps on the buttonhole dial to create a new top that’s a bit longer. 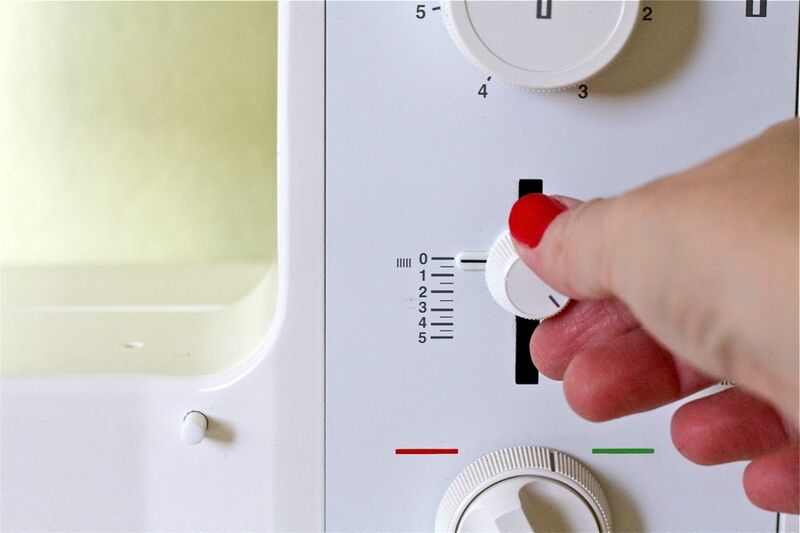 Just keep flipping through the steps on the dial till you get to the ones you need. You don’t have to do all the steps in order. Then cut through the middle again (cutting through the original finished top, up to the new finished top). 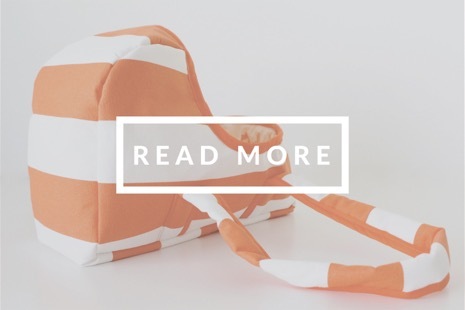 * What if you’re working with a stretchy fabric? This can be tricky since the tight stitching and the seam ripping tend to stretch out the fabric. 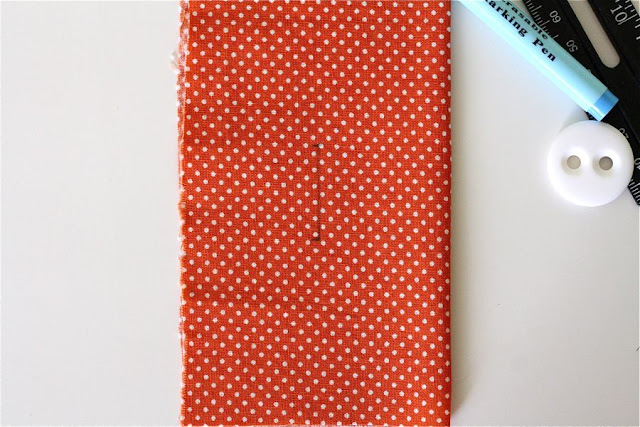 Do your best not to tug at the fabric as you sew. 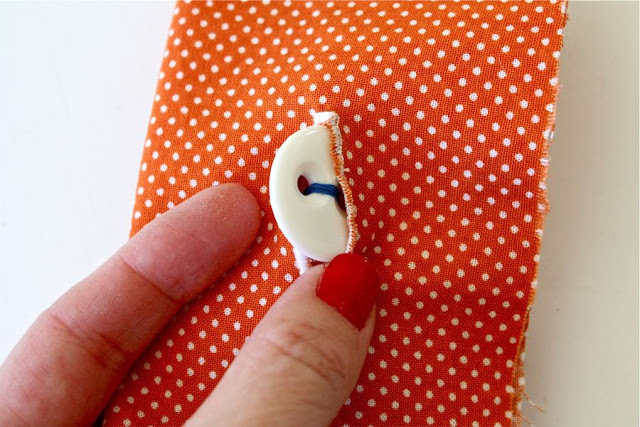 The best option is to use a stabilizing fabric (one that does not stretch) on the back of your buttonhole. 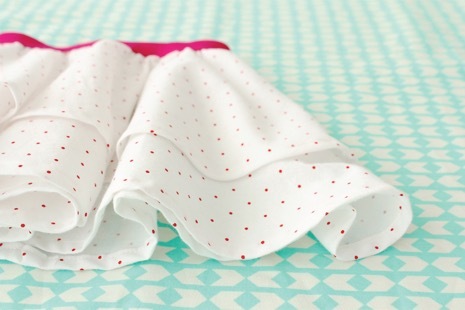 Use a small piece of cotton or muslin and pin it to the back of your fabric. Then, sew the buttonhole on the back side, so that you’re actually sewing onto the stabilizing fabric (with the stretchy fabric underneath). 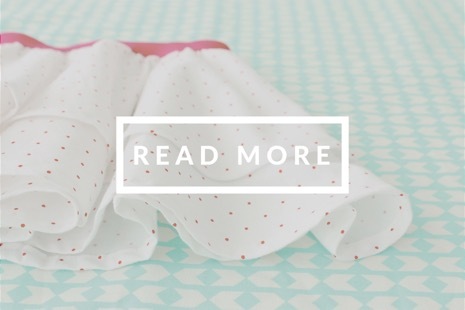 You can cut excess fabric away when done and since it’s on the underside, it won’t show on the finished garment. Now that you have a buttonhole, let’s give it a button. Lay your fabric layers on top of each other in the way you want the finished garment to look (such as a jacket that’s closed in the front). We’re going to mark where each button will be sewn on. 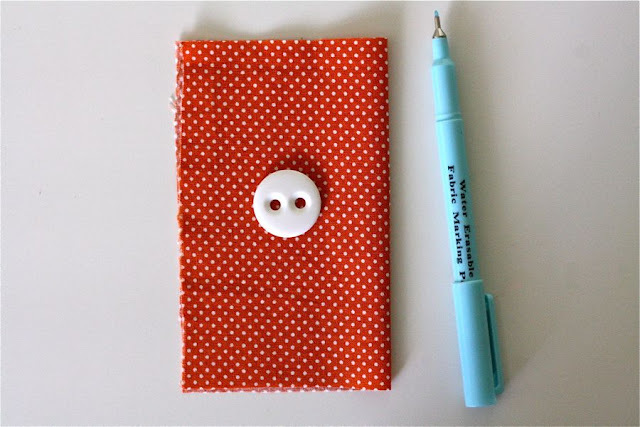 Use your same fabric marker to make a small dot through the buttonhole and onto the fabric underneath. Place your button over the marked spot and grab a needle and thread. 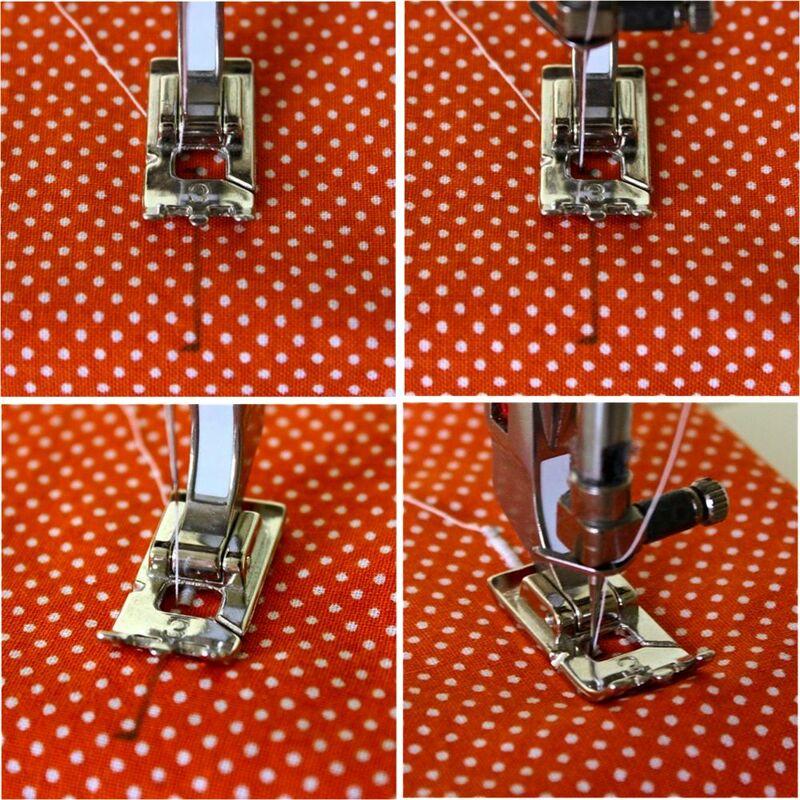 If you have an automatic buttonholer, your machine may be able to sew the button for you as well! The tutorial mentioned above walks you through those steps. Or, try out Ruffles N Stuff’s cool idea for sewing buttons in place using your standard foot and a zigzag stitch. Simple! 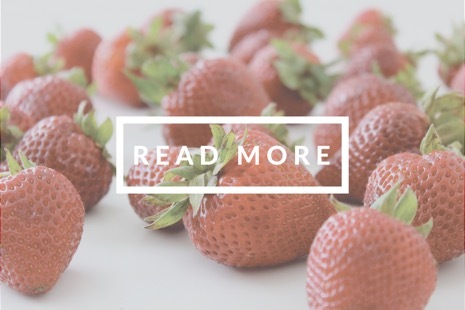 This tutorial will show you the old fashioned way, so that you always know how to do it. Decide if you want a contrasting thread color that pops against your button or one that matches. 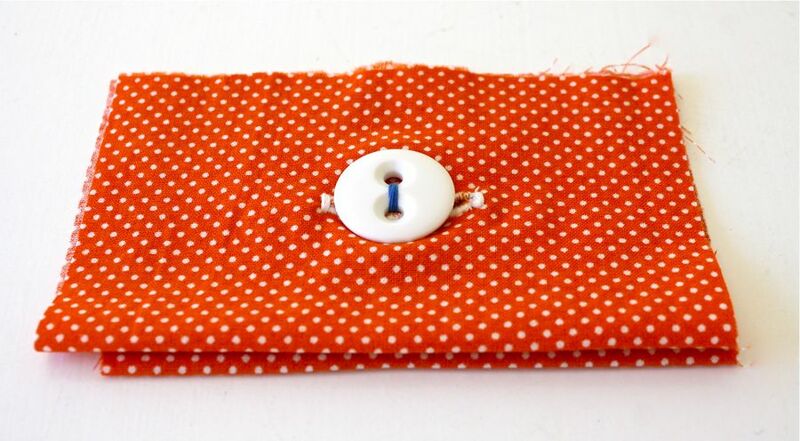 I’m using blue thread on a white button. Thread the needle. I take one strand of thread, pull it through and tie both ends together in a knot, so that I have a double layer of thread. Start on the back of the fabric and puncture the needle up and through the first hole, then go down through the other hole and pull it taut. If you have 4 holes on your button, you can go side to side or criss cross, in a “x” pattern (City Frock). 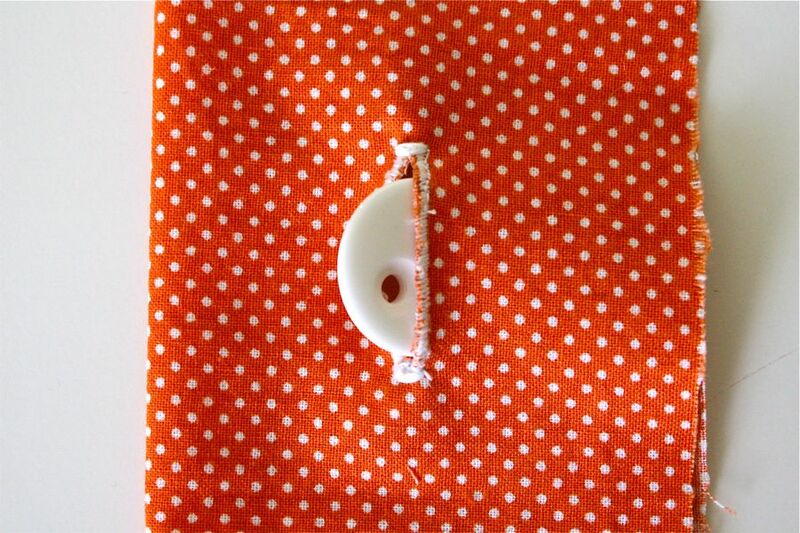 Continue going up and down over the two holes about 6 times till the button feels secure on the fabric. 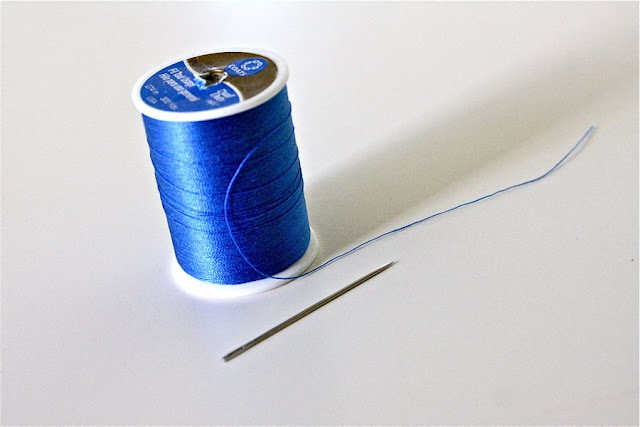 Then tie off your thread in the back by grabbing a bit of the fabric in your needle and looping a knot. Then try out your new button! Now give yourself a pat on the back. Thank you. 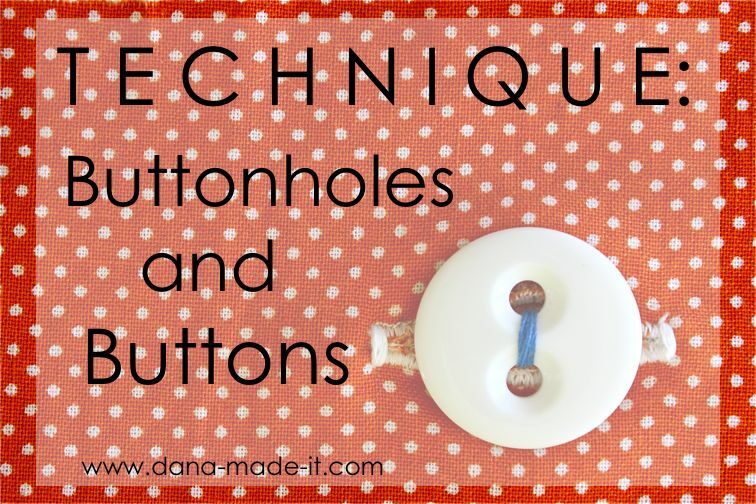 This is the best tutorial I have seen for button holes. You make it look way less difficult than it seems in my nightmares-err dreams. 😀 My daughters and I will now be able to tackle some of those crafts we’ve been avoiding because of button holes. Thank you so much for this tutorial! 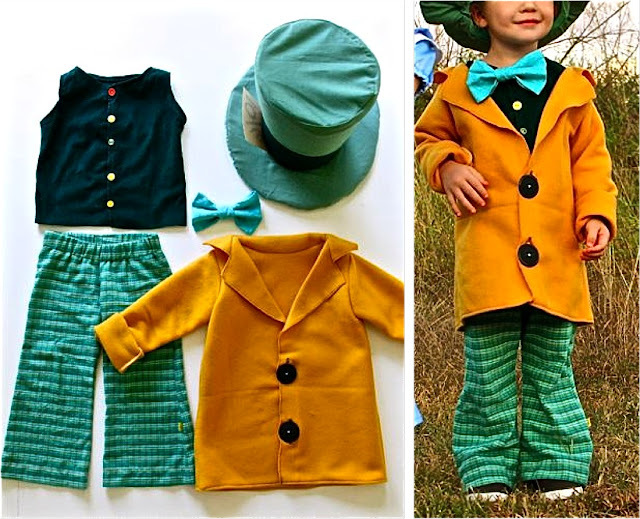 Buttons and buttonholes have always scared me, but this makes them seem so manageable! Can’t wait to try it on my next project! This is exactly the tutorial I was looking for— thank you so much for the clarity of description and great photos. You put the other tutorials I attempted to shame! 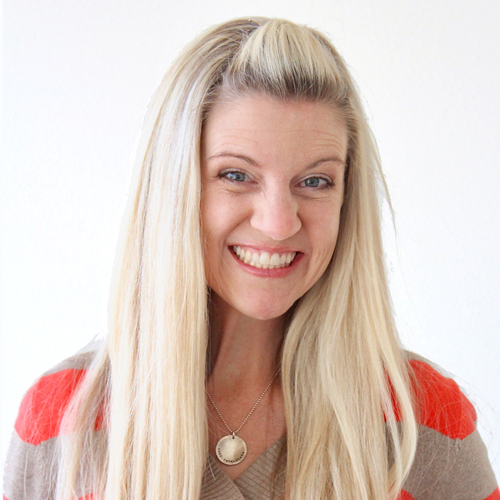 For the longest time I have been clueless…now you have transformed me into… A Sewing Warrior!!! 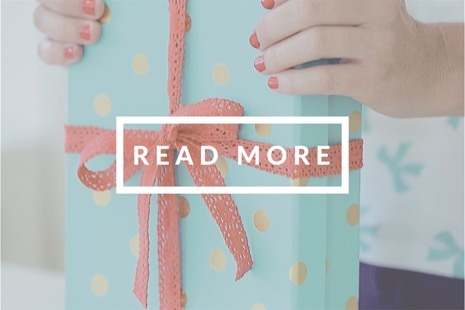 …Thank You so much for taking your time to do these posts! My bootleg-looking sewing days are over! Total metamorphosis. Keep up the awesome work so that you may shine your light to others..who are lost. Totally lost, like I was. Thank you! Have a Happy Thanksgiving! Great! I have an old Kenmore machine and have lost the buttonhole attachment. 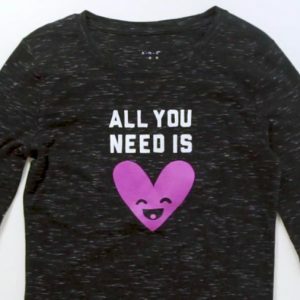 I tried to find a replacement, but was unsuccessful (sewing machine stores, Sears, online, etc.) So I’m going to try this technique. Very helpful instructions and great photos! 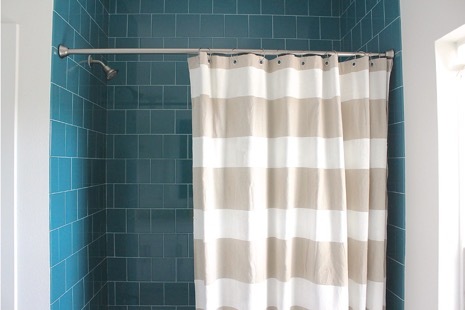 Finally a tutorial that works with the 1980’s White I inherited. Most I’ve watched (and moved on from) are aimed at the digital plastic-geared machines in the stores today. Thanks Dana, a really clear tutorial with great pics and directions. O MY Garsh!! I just made 2 buttonholes using my BH foot and they look fantastic! I just moved up a level in my sewing skills, thanks to your tutorial. 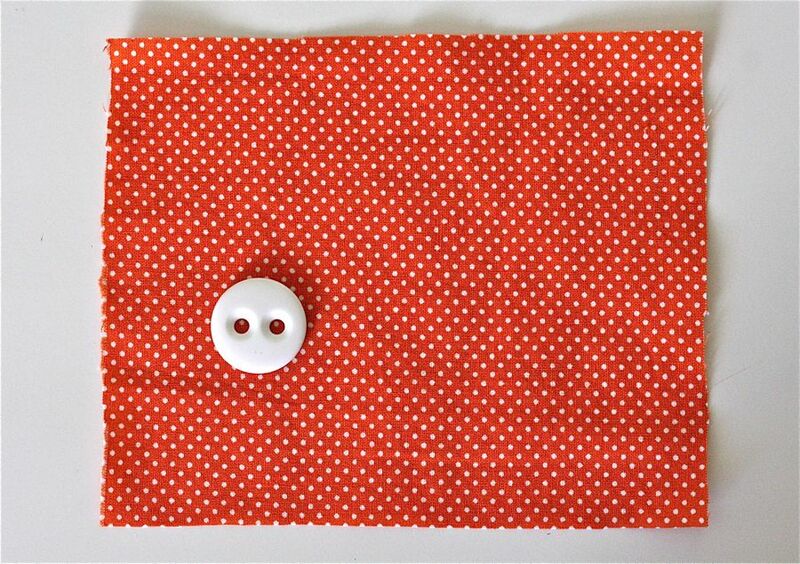 I’ve had my sewing machine for 3 yrs, been avoiding patterns with buttons but I’ve started a project that I decided needs a button closure. I’m so excited!! 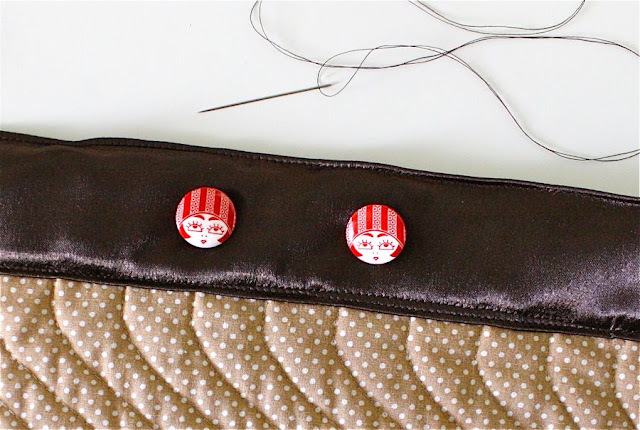 And my husband is too…2 yrs ago I sewed a small strip of Velcro on his back pockets but it’s not sticking anymore so now he wants me to put in a button and BH on all his back wallet pockets. Thanks for the great tutorial, you took the mystery out of sewing BHs. 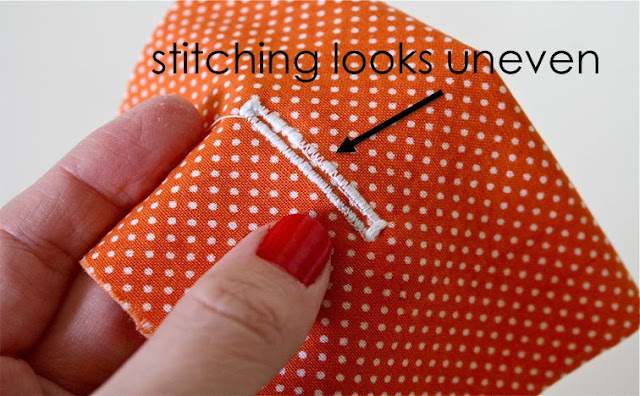 Your buttonholes will look much better if you use stabilising fabric such as Stitch-n-tear all the time, not only for elastic fabrics. And fortify them on the wrong side with Vlieseline. When I do buttonholes, I put a small piece of tear away stabilizer underneath the fabric I am sewing the buttonhole in. I usually swap out my regular thread in the bobbin for a thinner bobbin thread. If the machine has a hole in the bobbin finger, I will thread that too, otherwise I would lower the top tension a bit. These steps have greatly improved my buttonholes.